For Mother's day weekend Atlanta Ballet explores the theme of love through both classic and innovative choreography. Highlighting the athleticism and passion of Atlanta Ballet’s dancers, these performances find new meaning in the world’s greatest love stories. Love Stories will feature the Atlanta Ballet premiere of “Requiem for a Rose” by choreographer Annabelle Lopez Ochoa and the return of “Prayer of Touch” by Atlanta Ballet’s new resident choreographer Helen Pickett. 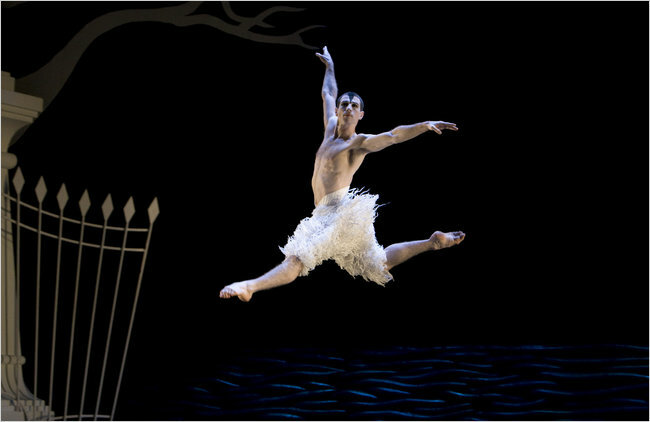 The program will also feature the White Swan pas de deux from choreographer Matthew Bourne’s revolutionary “Swan Lake” – regarded as a modern day classic since its world premiere in 1995. Treat mom to a special Mother’s Day brunch or dinner before or after the show! Pair one of our performance offers with brunch or dinner at one of our two participating restaurant partners. Contact each restaurant for details and reservations. Looking to plan the perfect Mother's Day celebration? Leave the details to Atlanta Ballet with a dinner and a show package in honor of the final performance of the season, Love Stories. For just $50 per person, enjoy a delicious fixed menu dinner at South City Kitchen Vinings and a price level 1 or 2 ticket to Atlanta Ballet's Love Stories. 25% off tickets for Atlanta Ballet’s two matinee performances: Sat., May 11 and Sun., May 12. Want to win tickets for Mother's day? Show mom you care! 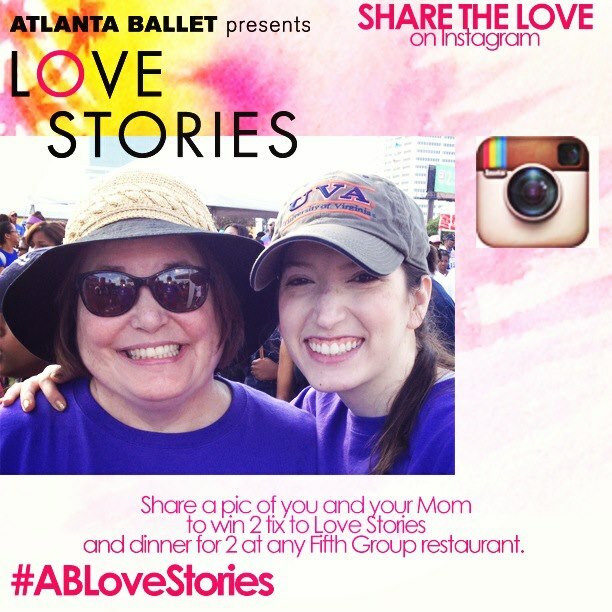 Enter Atlanta Ballet Instagram contest! By sharing your photo you become eligible to win two (2) tickets to ther Love Stories program Mother’s Day weekend, a $75 gift card to Petals A Florist, and a $50 gift card from Fifth Group Restaurants, including South City Kitchen Vinings near the Cobb Energy Performing Arts Centre! It’s super easy to enter the contest and no purchase is necessary! Just follow these simple steps: 1. Snap a photo of you and your mom. 2. Upload the photo to Instagram and be sure to use the hashtag #ABLoveStories to officially enter our contest. 3. Atlanta Ballet will randomly select a winner on Wednesday, May 8th and reach out to the lucky winner! A winner will be chosen May 8th! Atlanta Ballet’s Love Stories runs for four performances Mother’s Day weekend, Friday, May 10 through Sunday, May 12, at the Cobb Energy Performing Arts Centre - 2800 Cobb Galleria Parkway, Atlanta, GA 30339. Tickets start as low as $20 and are on sale now. To purchase tickets, visit www.atlantaballet.com or call 404-892-3303.